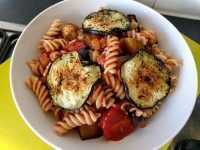 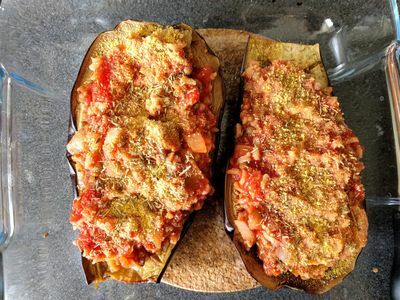 What to do when you received a big, fat aubergine in your weekly box? 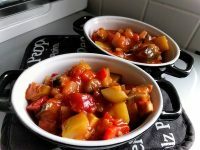 The first option will be to stuff it with ready-made meat stuffing but this could be quite heavy for dinner. 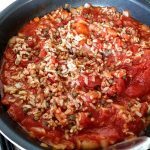 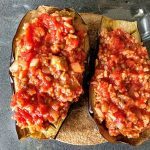 So this week, I am sharing the recipe of aubergine stuffed with vegetable, rice, and lentils for a healthy and balanced dinner. 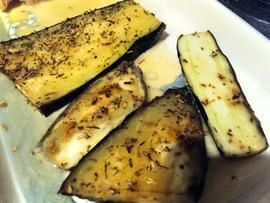 Easy and so delicious!! 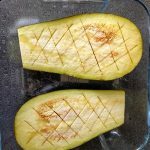 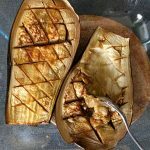 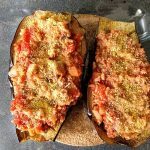 How to make Vegetarian stuffed aubergine?